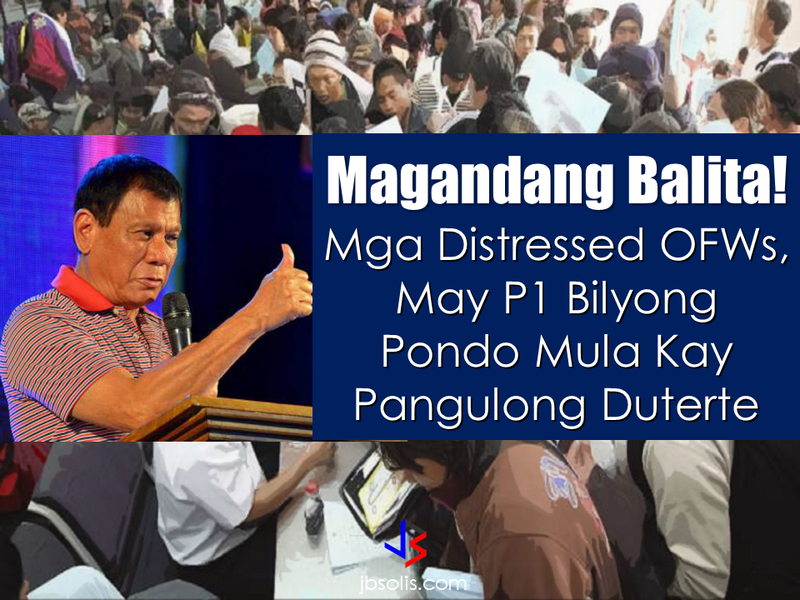 The ₱1-billion budget for assistance to distressed OFW abroad for 2018 has been approved by President Rodrigo Duterte, according to DFA Secretary Alan Peter Cayetano. 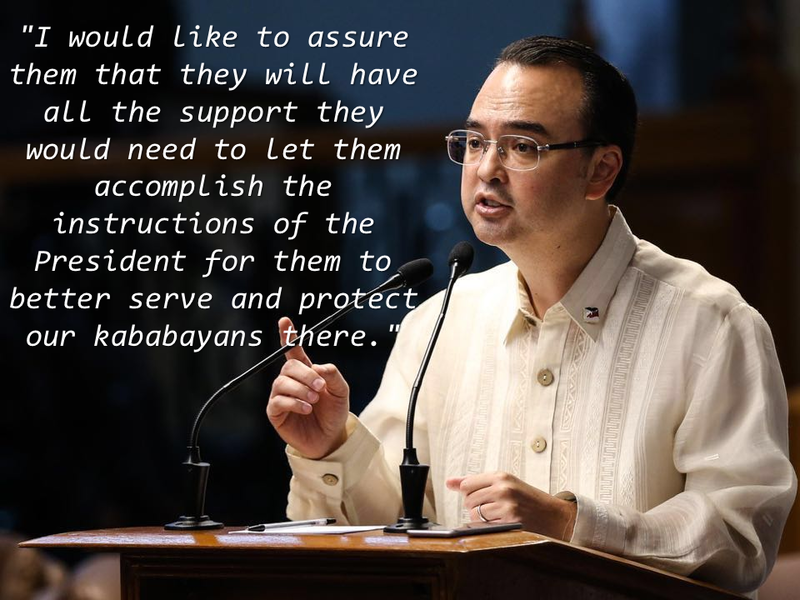 Cayetano told Filipino ambassador and consuls general, especially those in the Middle East, that they would be provided with resources to assist distressed Filipinos. Statistics shows that there are more than 1.25 million OFWs in the Middle East about 56.9 percent of the total number of all OFWS in the world. 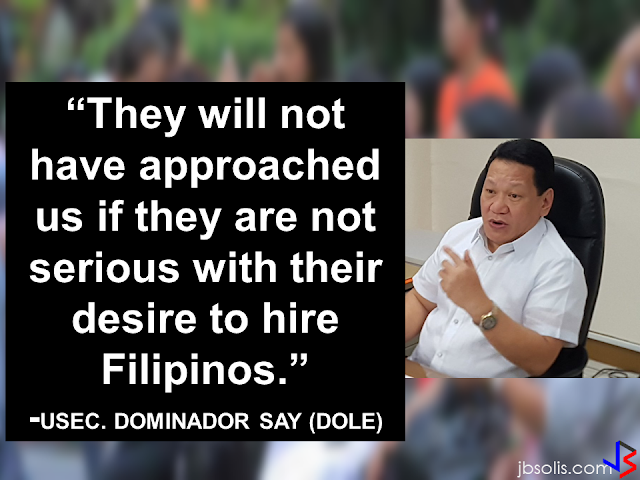 Some of them has encountered various problems in their host countries, victimized by illegal recruiter, passports in the custody of their employer. Some of them do not receive the salary stated on the contract they signed. 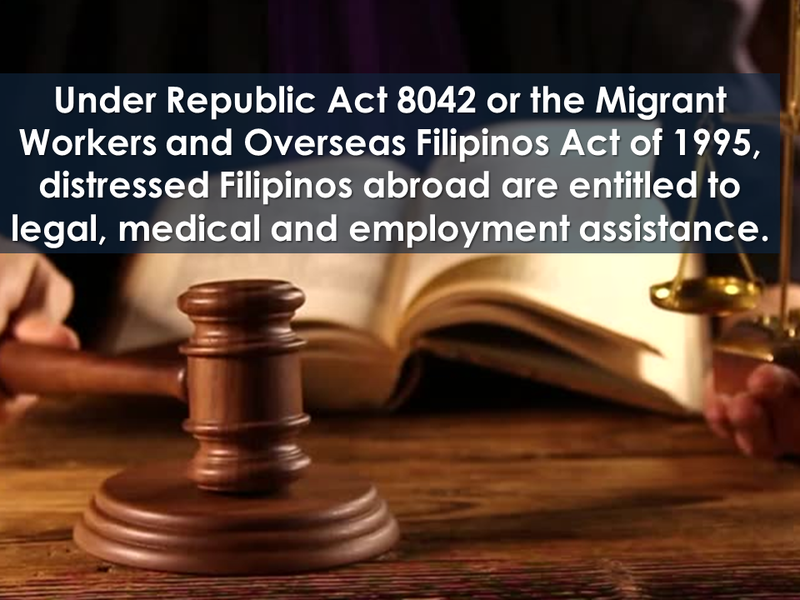 Under Republic Act 8042 or the Migrant Workers and Overseas Filipinos Act of 1995, The OFWs are entitled to receiving assistance from the government such as legal, medical and employment assistance. The additional P1 billion funding will be allocated to Assistance to Nationals (ATN) programs of embassies and consulates from UAE, Qatar, Dubai, Kuwait, and Saudi Arabia. 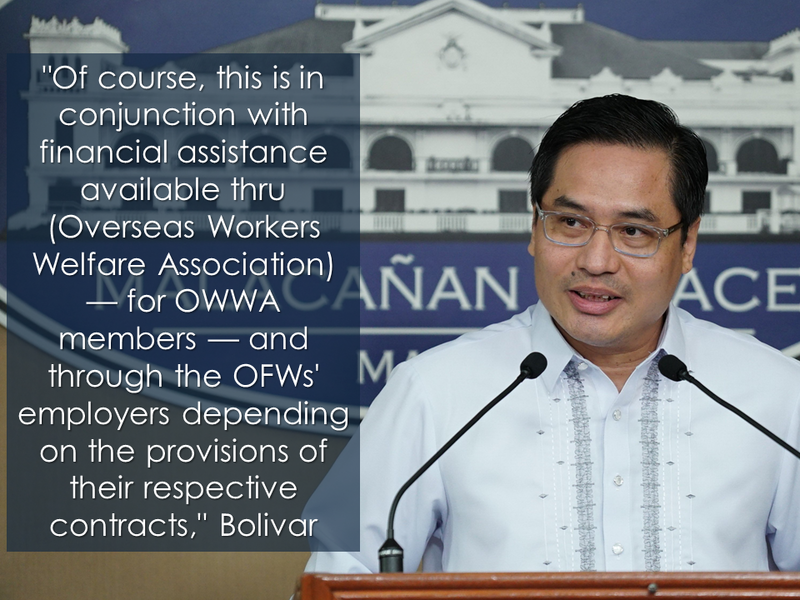 The increased ATN funding is designated to be able to respond and accommodate more distressed OFWs who badly need help. 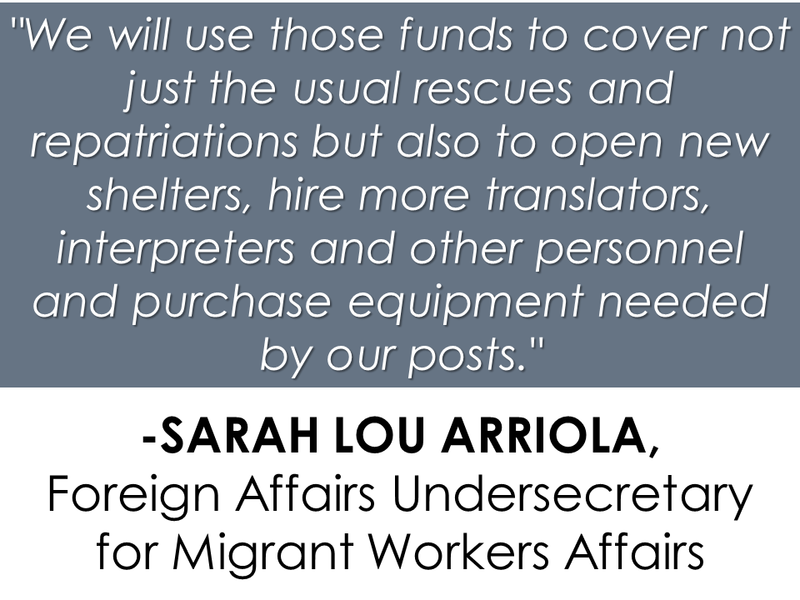 Foreign Affairs Undersecretary for Migrant Workers Affairs Sarah Lou Arriola explained the department has already spent almost 60 percent of the P400-million allocated to ATN programs.